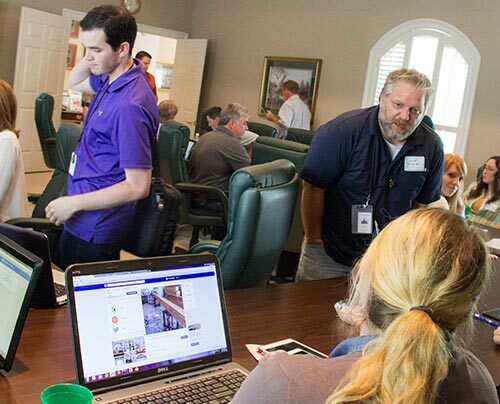 The social media team from BBQGuys recently lent it's collective knowledge and experience to assist several members of the Capital Region Builders Association enhance their social media presence. In participation with the CRBA, and led by Alex Polito, Marketing Associate at Baton Rouge Title and the CRBA's Education Committe Vice-Chair, interested members were able to get hands-on experience with everything from creating a Facebook page for business to using successful strategies for posting commercial content. In response to an urgent need by the Youth Oasis Children's Shelter, BBQGuys donated and installed a new refrigerator, electric range oven, and a Blaze outdoor gas grill at the facility on Tuesday, December 16th. Along with the donation of new appliances, several BBQGuys employees provided snacks and a variety of gifts for the young residents. 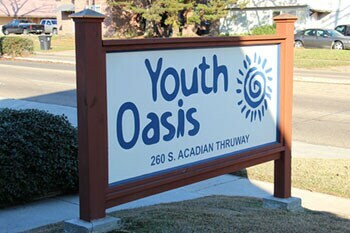 The Youth Oasis organization is one of only two emergency Children's Shelters left in the state that houses children in the custody of the Louisiana Department of Child and Family Services (DCFS). Their mission is to provide emergency shelter, food, clothing and other support to at-risk youth with the ultimate goal of reuniting the children with their families or find permanent placement. BBQGuys named one of the “2014 Best Places to Work”! Contributing to BBQGuys's #35 ranking are company perks like referral bonuses & shift bonuses, plus special programs including one-on-one lunches with the CEO, Friday learning clubs and Paid Time Grilling. The honor was revealed at an awards breakfast on Wednesday, October 15th, prior to the kickoff of the annual Louisiana Business Symposium. In compiling the Best Places to Work rankings, employees of participating companies were surveyed and questioned by Best Companies Group about company policies, practices, demographics and benefits. 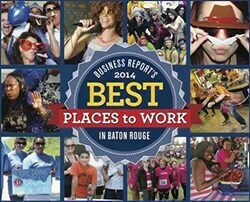 The winners of the inaugural Best Places to Work awards presented by Business Report, the Greater Baton Rouge Society for Human Resource Management and the Louisiana Workforce Commission. The entire story and full list of winners is at http://bit.ly/1w7Xy95. BBQGuys is honored to be a sponsor of the 2014 "Taste of Baton Rouge" on Thursday, November 13th at the Shaw Center for the Arts. 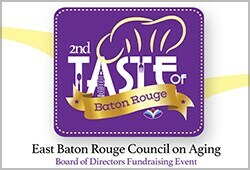 The annual fundraising event benefits the East Baton Rouge Council on Aging, whose mission is to raise awareness of the needs of the aging population in our local community. Chef Tony Matassa, the corporate chef and spokesguru for BBQGuys, will be providing some of his world-famous BBQ delicacies for the patrons. A limited number of tickets are available at http://bit.ly/1uGJbKn. Find out more information about the EBRCOA, visit www.ebrcoa.org. 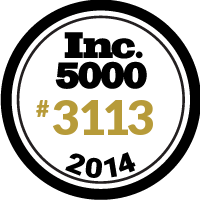 For the past 7 of the last 8 years, BBQGuys has maintained a strong position on the Inc5000's list of fastest-growing private companies in America. The list represents the most comprehensive look at the most important segment of the economy - America's independent entrepreneurs. Google's state level economic impact report was the focus of Google's Washington DC press conference held on Tuesday, May 25, 2010. Google invited BBQGuys President Michael Hackley and CEO Corey Tisdale to join Claire Hughes Johnson, Vice President of Global Online Sales at Google; Louisiana Senator Mary Landrieu (D); Senator Richard Burr of North Carolina; and several other company executives to discuss the benefits of advertising on the search giant and to unveil Google's Economic Impact Study. 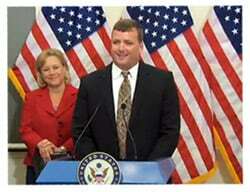 Google chose BBQGuys as Louisiana's sole featured advertiser out of 9,900 advertisers and web publishers. BBQGuys is movin' on up! 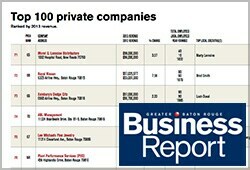 We've climbed 4 spots to #78 on the Baton Rouge Business Report's list of "Top 100 Private Companies" in Louisiana for 2014. In the spring of 2014, the Business Report companies according to their reported or estimated revenue for the most recently completed fiscal year, which in most cases was the calendar year 2013.